Our adorable little patio paver Easter Bunny (from pattern set #W1362YD) has grown! 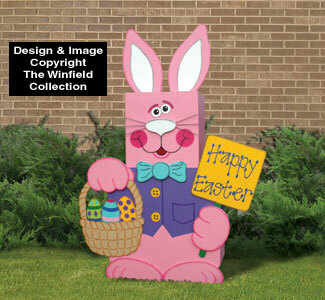 He's been transformed into a large Easter yard display that stands over 66" tall. Place our special formula Transfer Paper on your wood, ink side down, then lay your Winfield pattern on top. Trace the pattern lines with a stylus or a ballpoint pen. Peek before moving the pattern to ensure all lines have been transferred to the wood. Lines will not bleed through your paint. 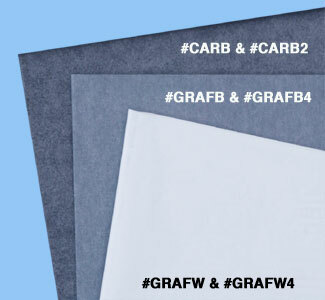 Transfer paper leaves a darker line than our Graphite paper. New GIANT size sheet completely covers a 4' x 8' sheet of plywood.